After a lovely day at the Somerville’s Winter Farmer’s Market to sample the Popover Lady’s airy cinnamon and sugar popovers and art purchase at Lowell’s Western Avenue Studios, we drove towards Groton. Our destination Gibbet Hill Grill. On our ride, right before the restaurant we were pleasantly surprised by a SLOW turtle crossing sign. A first. 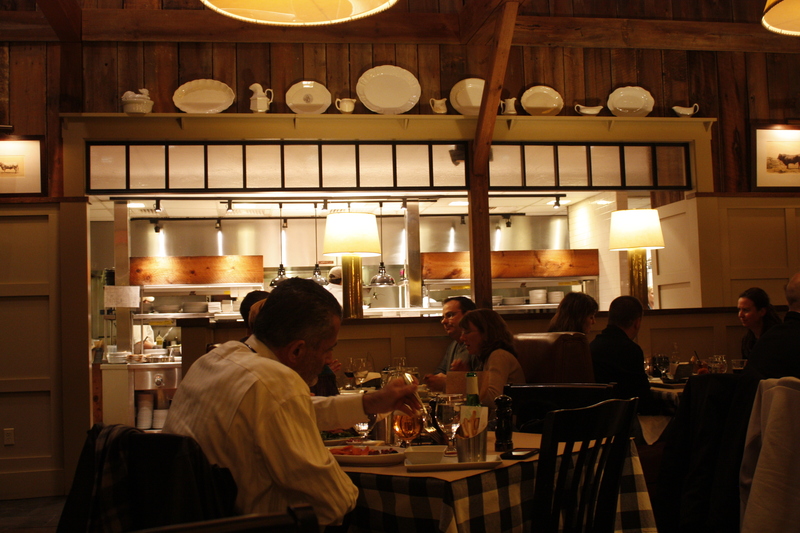 Gibbet was consistently full, both at the bar and at the restaurant, clearly a popular dining option. In fact, there was an exceptionally classy affair across the way at the function area. In terms of location, nestled in the hills, peaceful and under the starry sky. The restaurant couldn’t be located in a more picturesque location. 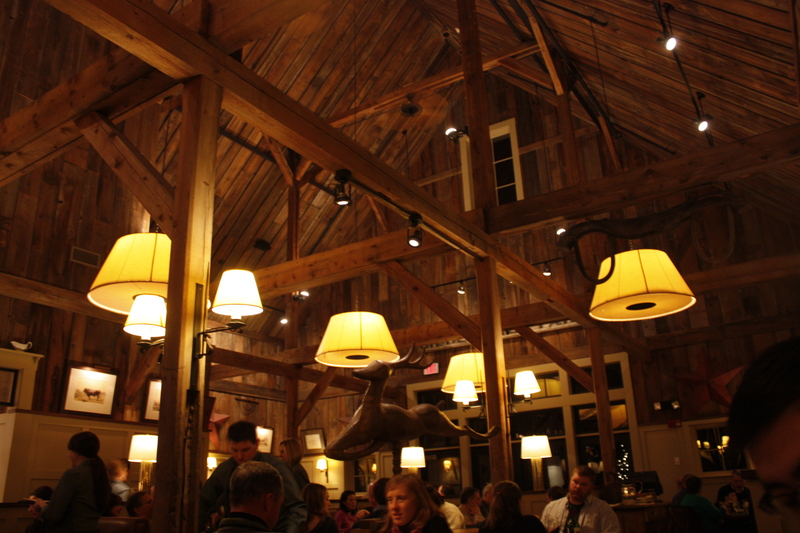 In terms of interior, we enjoyed the crackling fire, high wooden ceilings, low lighting and lodge-like space. As we were waiting for our seats, we enjoyed some homemade potato chips by the fire. We ordered some slightly warm spiced apple cider, $5 each. The kitchen is open and fun to glance over and see the professionals at work. 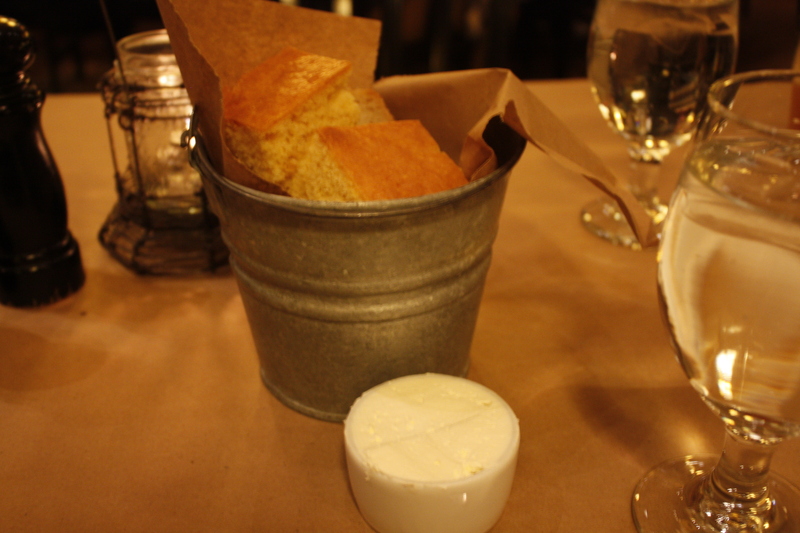 As we were contemplating what to eat and reviewing the menu, our friendly server brought us sourdough bread and cornbread with hard butter. Although it was difficult to spread the butter, the cornbread was delicious. For those that are sensitive. Gibbet Hill Grill also has a dedicated gluten-free menu. 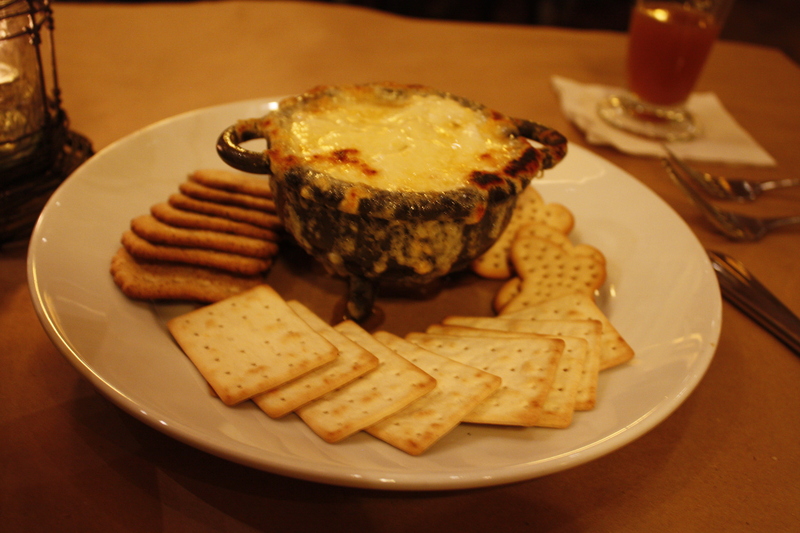 A must order is Cindy’s Crab Dip, chunks of Maine crab meat and local cheeses served in a hot mini cauldron. So hot that cheese crusted around the exterior (when cooled, fun to peel off). We were overwhelmed by the layers of a generous portion of crab. Such a great value for such a decadent and quality appetizer, $10.5. They were served with an assortment of crackers, our favorite the buttery butterfly shaped ones. The other MUST get are the 12 ounces Sirloin Steak Tips for $19.50. These are THE BEST steak tips we have ever eaten. Note this superlative. Well marinated, tender, juicy and truly to die for. My dining companion overheard in the restroom from another patron this was the signature item to get. Boy was he right. The sirloin steak tips are worth the destination itself. Served with choice of two farm sides, we added the medly of shiitake, portobello and oyster mushrooms for an additional $1.50 . The other side was the creamed kale, which was our “healthy” choice, $6.50. Wishful thinking, but still very tasty. 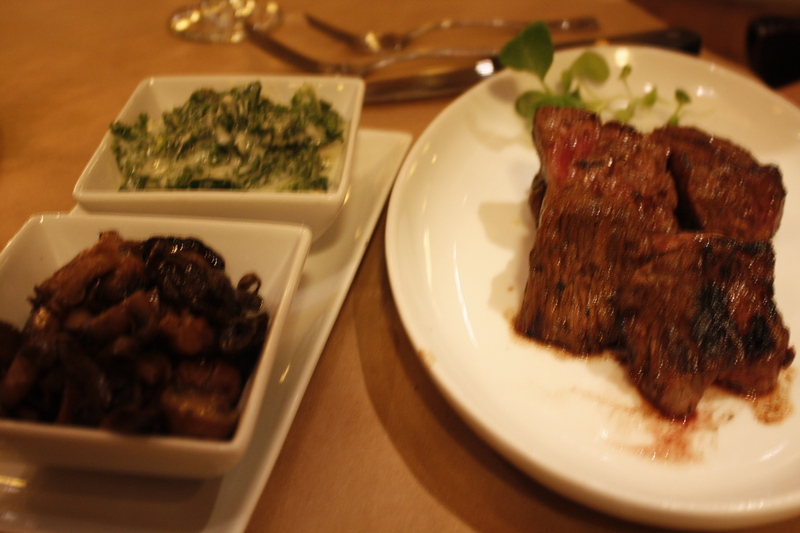 We also enjoyed the Steak Frites which were a nice temperature. Perhaps we got too full eating the winning crab and sirloin tips that the all natural hanger was delicious, but were outshined by the other dishes. 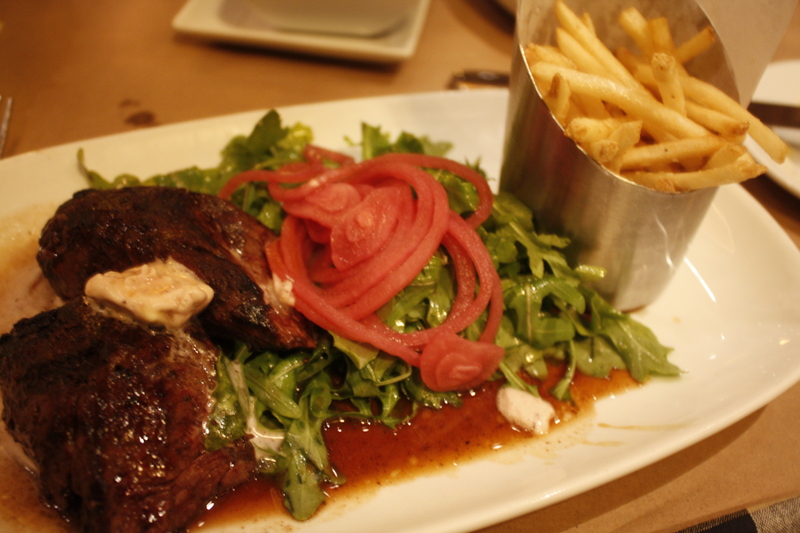 The steak frites were accompanied with bone marrow butter and served with a bountiful arugula salad with a nice zing from the pickled onions. The truffled shoestring fries were also aromatic, nicely crisp and fun to eat, $24. Not that we had room, but we made room for the denouement and ordered Milk and Cookies for $8. 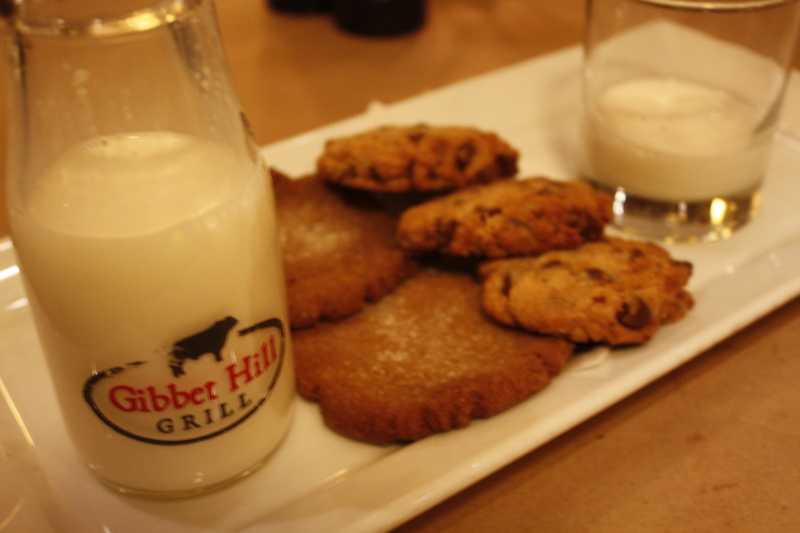 The Homemade cookies (gingersnap and chocolate chip) were freshly baked, warm and served up with a glass of cold whole milk. Loved the presentation of a branded milk bottle and we gobbled those cookies up. The gingersnaps nice and chewy and the rustic shaped chocolate chip cookies chock full of chocolate bits. At any moment a suggestion is required for steak, we would wholeheartedly suggest and make Gibbet Hill Grill the destination. Not only is the ride a pleasant one, but the crab dip and steak tips are worth the trip alone. Looking forward to our next visit and hope to spot a few turtles along the way.